It is winter time in much of the country. And the statistics indicates about 11 million people will go skiing at least once this year. 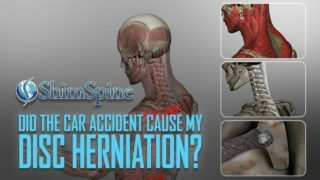 While everyone is naturally concerned about a broken leg, as a spine specialist I want to share the issues pertaining to Skiing and Back Pain. There has not been much information about the effects of skiing on the population. I did come upon a study that asked alpine ski instructors questions about their back. 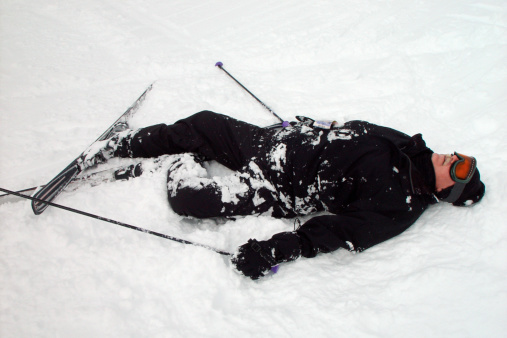 75% of the ski instructors reported an episode of back pain in their lifetime. 9% admitted to missing over 10 days of work secondary to back pain. The study concluded that the lifetime prevalence of back pain was similar to the general population, but the survey responders report a higher lifetime prevalence of back pain than athletes of many other sports. 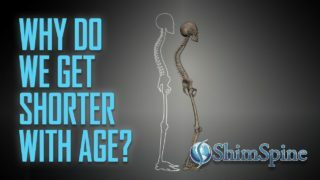 Now the reason for the increased lifetime prevalence may be the age of the athletes. As far as instructors go, the average age of ski instructors may be greater than other sports, thus the increased reported prevalence. But, I was happy to know that the lifetime prevalence was similar to the general population. In another study, young skiers, before enrolling in an elite ski program had x-rays obtained of their back. During the two years of elite training, the skiers were observed for back pain. The overall incidence of back pain among these elite adolescent skiers was 12.5%. Interestingly, the pre-enrollment x-rays did show asymptomatic findings of spondylolysis, scoliosis, spina bifida occulta, as well as Schmorl’s notes, and posterior end plate lesion. But, over the two years, skiers with severe anterior lesions (lesions that effect greater than a 18% vertebral body height) had significantly more lower back pain that the skiers without these lesions. After reading this study, are we to conclude that certain findings are pre-disposed to cause back pain for everyone, or only elite adolescent skiers? Or, as one other study concluded, in the skelatally immature, the forward bent position may predispose development of anterior endplate lesions, especially in the high performance elite young skier. So, what is the average recreational skier to conclude with these studies? The truth is the average skier only ski’s less that 10 days a year. I do not think that low level of frequency will develop into the bone and spine changing deformities seen by the young elite skier. But, there are preventative measures you can take to avoid back pain. Skiing is both an aerobic and anerobic activity. Proper core strength will aide in protecting the spine from injury. In addition, especially out West, skiing is an altitude dependent activity. Because of the greater elevation, your aerobic capacity will be affected by the lower air pressure. Without proper aerobic conditioning, fatigue may not allow your muscles to maintain proper body mechanics. Fatigue may not allow you to avoid excess loading on your spine. Also, due to the cooler environment, you must spend a bit more time to stretch your muscles and ligaments to avoid injury. A longer warm up period may be necesary to allow the proper stretching. To try to avoid injury to the spine, make sure you work on your aerobic capacity before going skiing. Build your core strength, and finally, take a few gentle runs to warm up the muscles, then go through a good stretching regimen before getting more aggressive on the slopes. And remember, once you get home, because of the fatigue of the skiing, you may be more susceptible to back injuries until your muscles have a chance to recover from the stresses of a good ski outing. Enjoy yourself, but be safe! Try not to make skiing and back pain a common occurrence for you or your ski team.